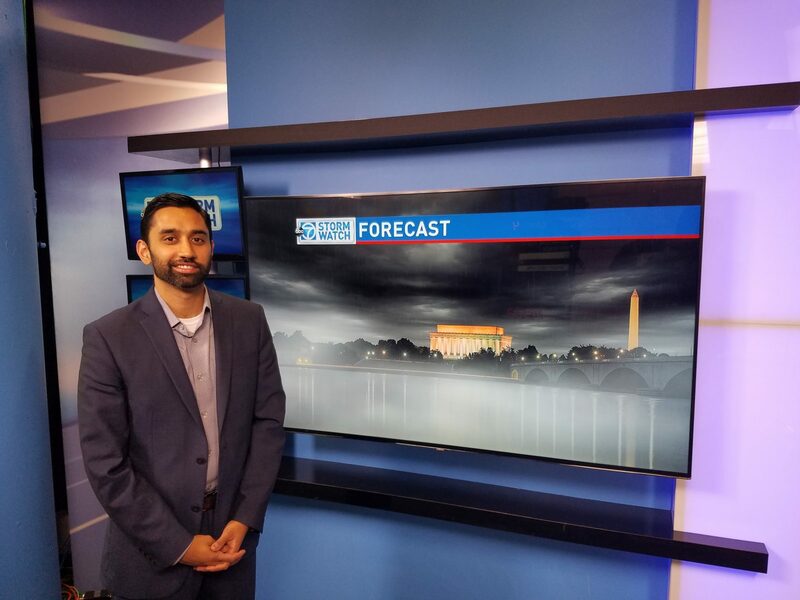 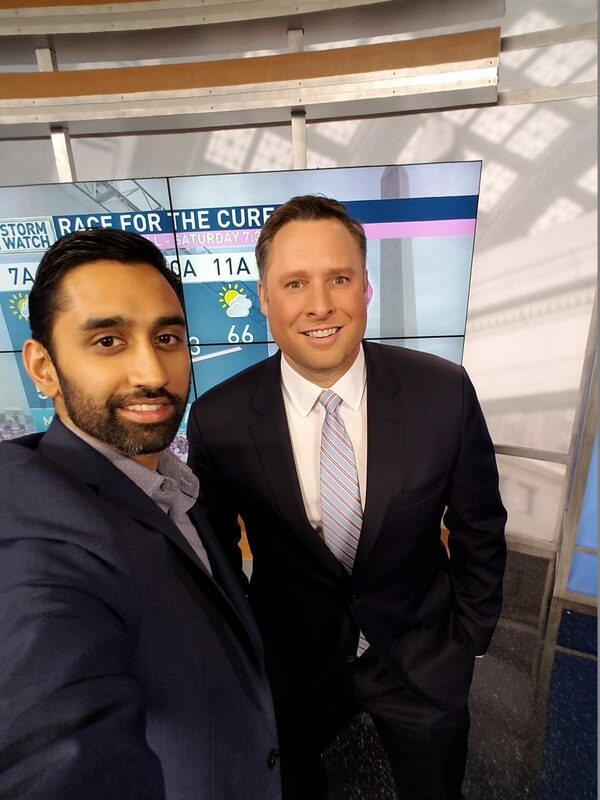 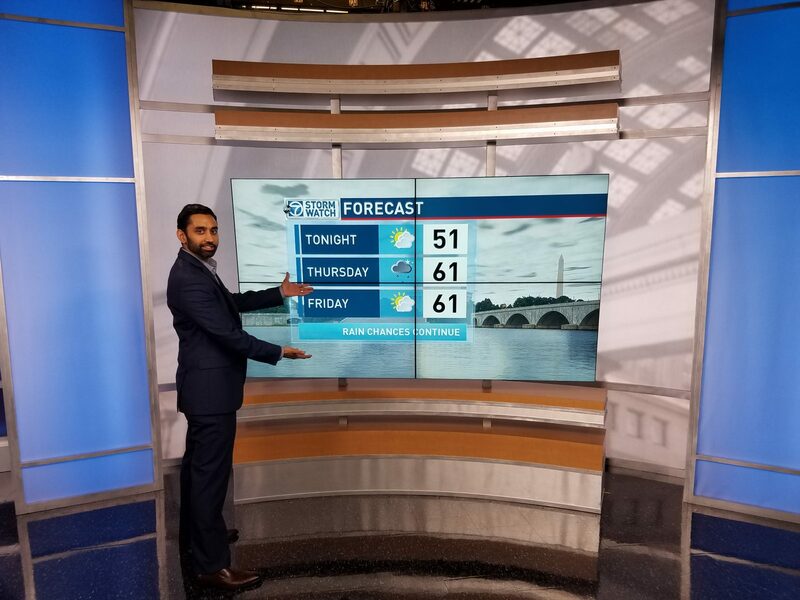 Several months ago, I shot a scene on the Memorial Bridge for ABC 7 News’ dynamic weather background that viewers see during every forecast. 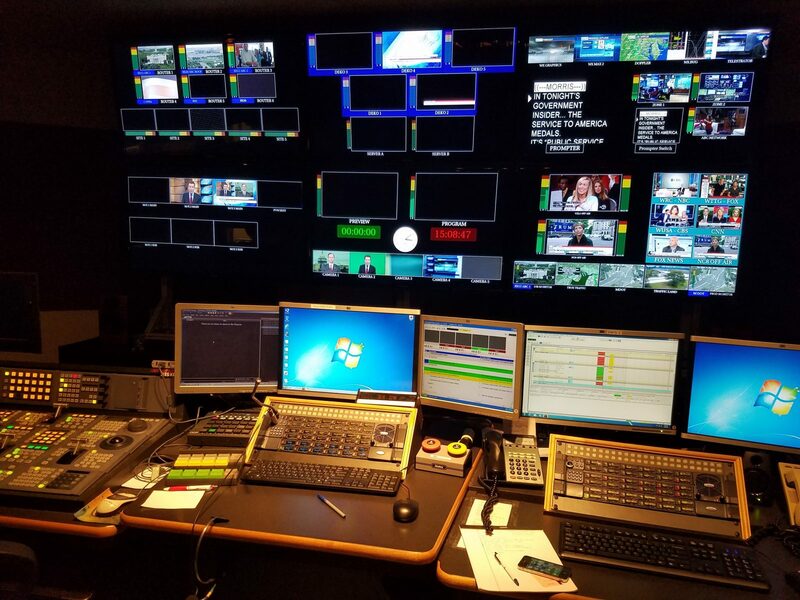 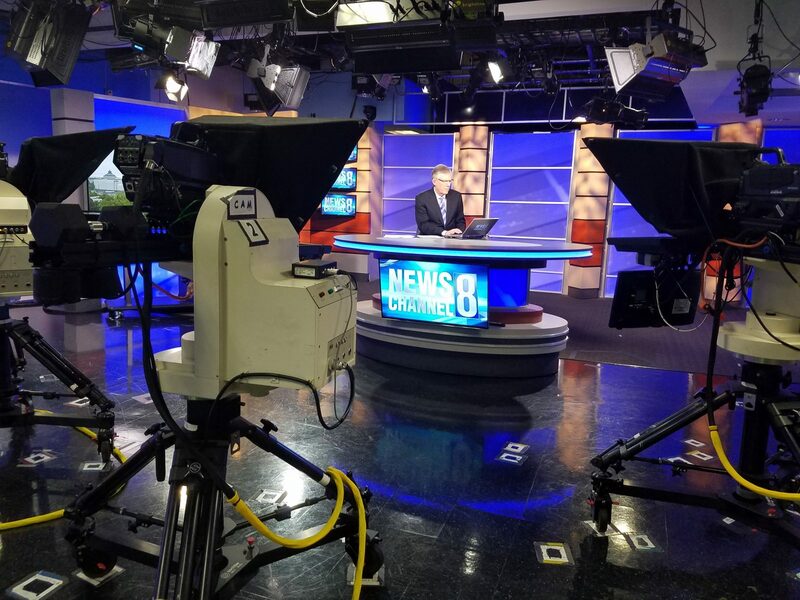 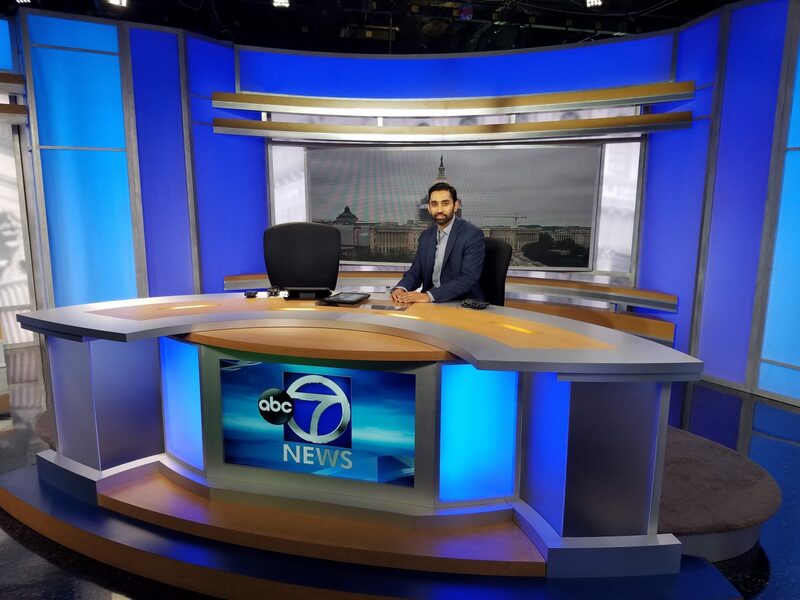 After being Facebook friends with super TV personality and weatherman Steve Rudin for 5 years, I finally visited the ABC 7 studios in Rosslyn to meet Steve and the weather producer, Alex Liggitt and other notable personalities like Brian van de Graaff and Doug Hill. 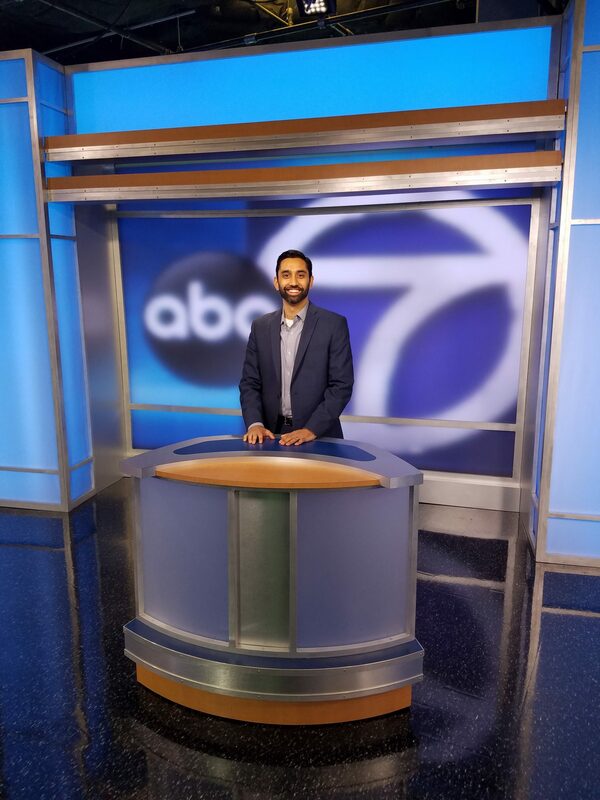 Everyone was super nice — especially Steve, who gave me the grand tour of the facility! 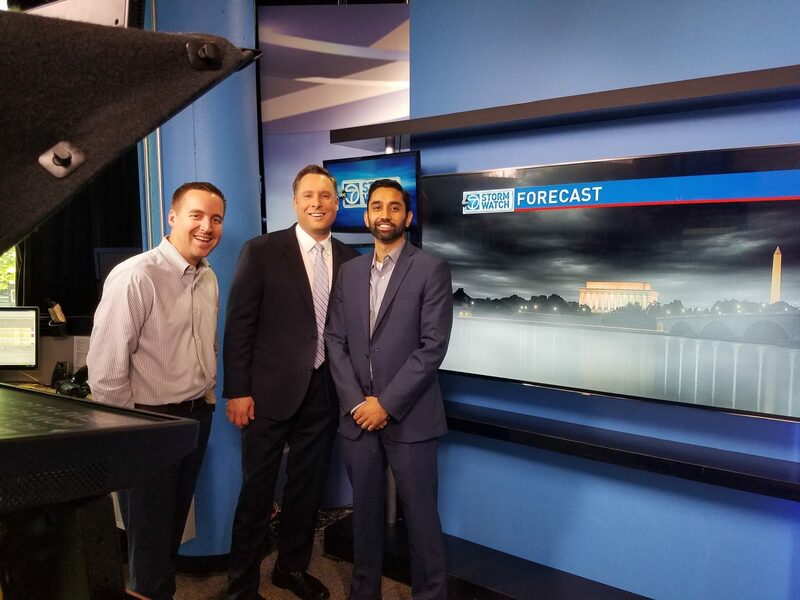 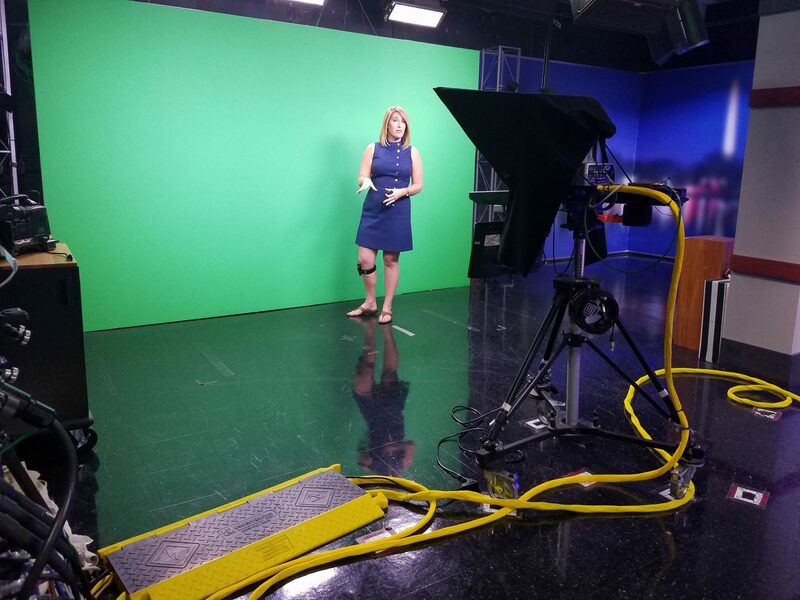 Next time you watch the weather, look out for my shot!